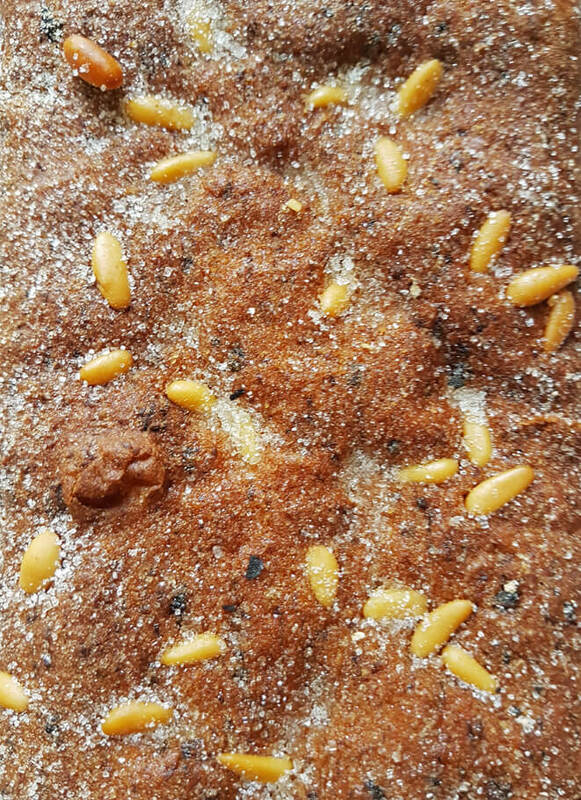 The coca de Sant Joan (Saint John’s cake), the coca de recapte (typical Catalan savory cake similar to pizza) and the coca de llardons (sweet cake made with pork rinds and topped with pine nuts) are made with oil, flour, yeast, sugar and eggs (among the most common ingredients). 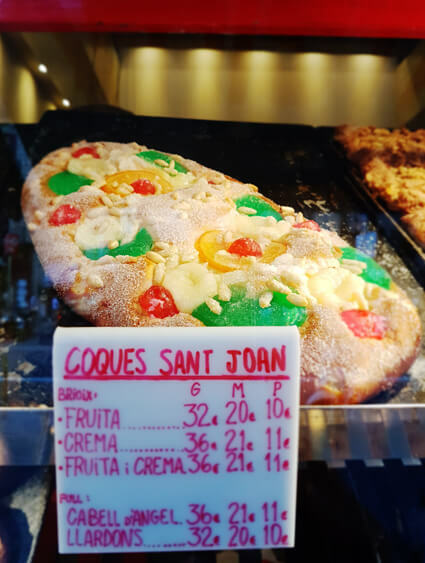 Candied fruits are added to the coca de Sant Joan and give it a spongy look and the coca de recapte is prepared with roasted peppers and eggplants (escalivada). What about the coca de llardons? To me this is the best coca of all. It is a very surprising coca made with sugar, pine nuts and greaves. Crispy and addictive. Also enjoyed during carnivals this coca is timeless. 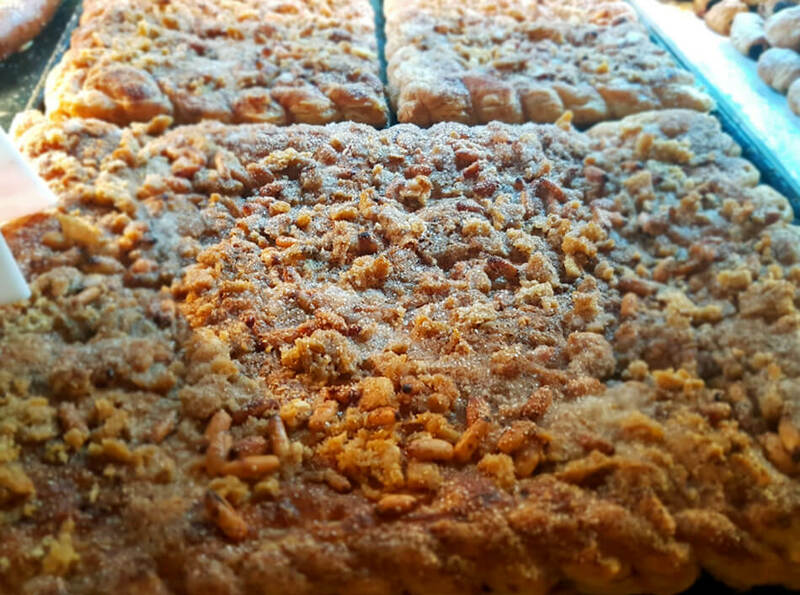 The coca de llardons is eaten on Saint John’s Eve dinner and breakfast of the following day. Delicious with cava (or champagne) and perfect with muscatel or malvasia wine, the coca de llardons is a marvel of the local gastronomy that is worth trying once or more times in one’s life. 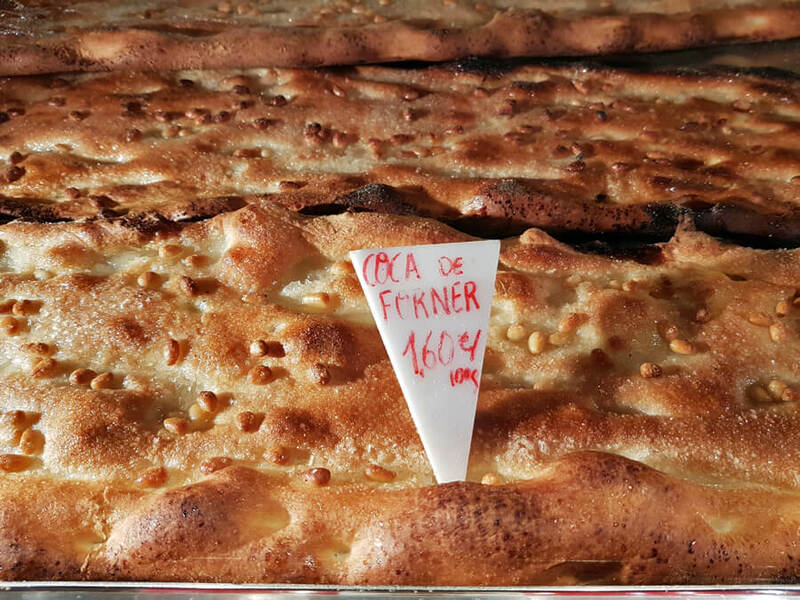 The most beautiful and crispiest (the secret in is the puff pastry) cocas in Barcelona are prepared in the great Natcha and the traditional Farga pastry shops. However, for me, the best coca de llardons is prepared at Fru Panet, a small bakery on València street, 18; on top of being beautiful and crispy, their coca is the tastiest (more greaves, less sugar) I’ve ever eaten. I recommend you place your order in advance, then celebrate Saint John’s night with family or friends, on a terrace or on a balcony, and raise your class to the summer about to begin. Cheers! Susana Fernandez Alonso, autodidact and experienced gastronome has been writing articles on cooking and alimentation for different reviews. She sums up her philosophy of life with few verbs : eat, drink, love, read (and write), go for walks and converse. She is the author, for example, of this article about Antonin Carême.